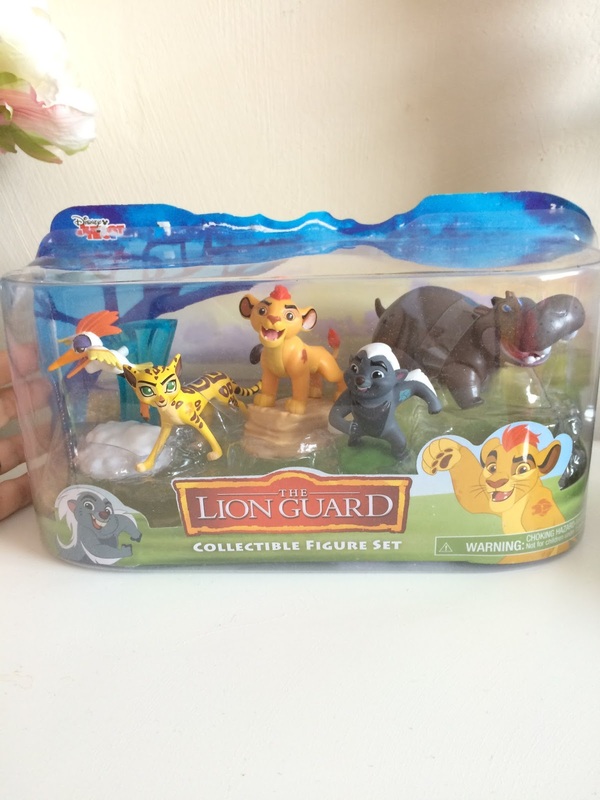 Anyone else been LOVING the Lion Guard series on Disney Junior, maybe a little bit more than kids. 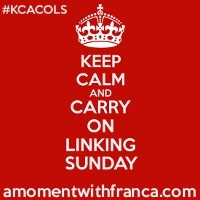 Both me and the husband Love watching the Lion King, it reminds us of being kids. I clearly remember going to the cinema with my dad and sister and watching this on the big screen. This new series is fantastic, songs, bright colours and singing animals - plus in 20 minute chunks means we can manage TV damage control between the boys. 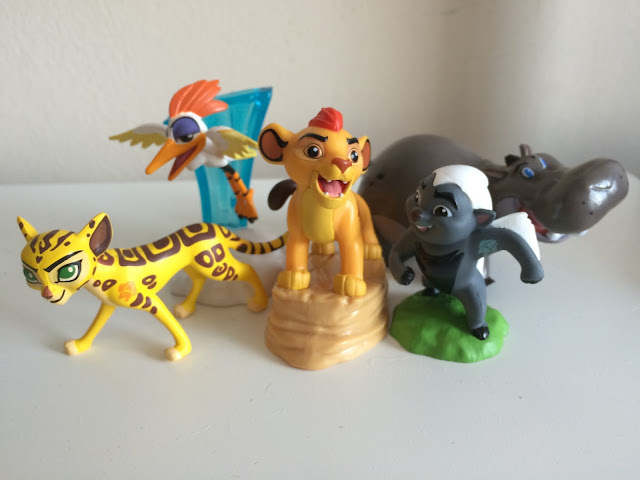 The series follows Kion, the youngest child of Simba, as he follows in his dad’s footsteps and protects the beautiful Pride Lands. 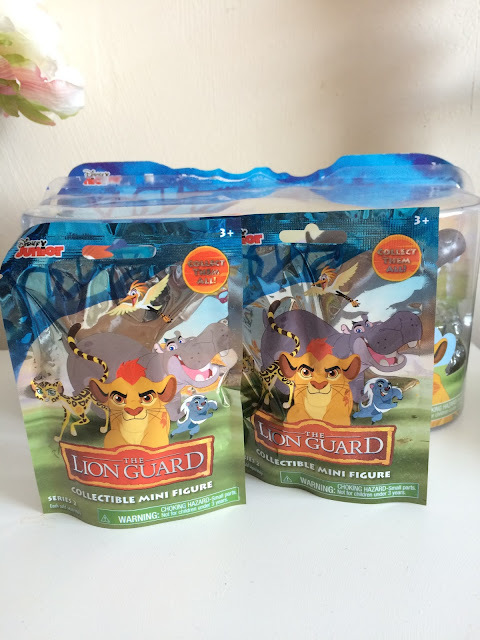 Just Play is excited to bring you a guide to the new Lion Guard range of toys! Little ones are certainly in for a treat with these fun toys – there is something for everyone! 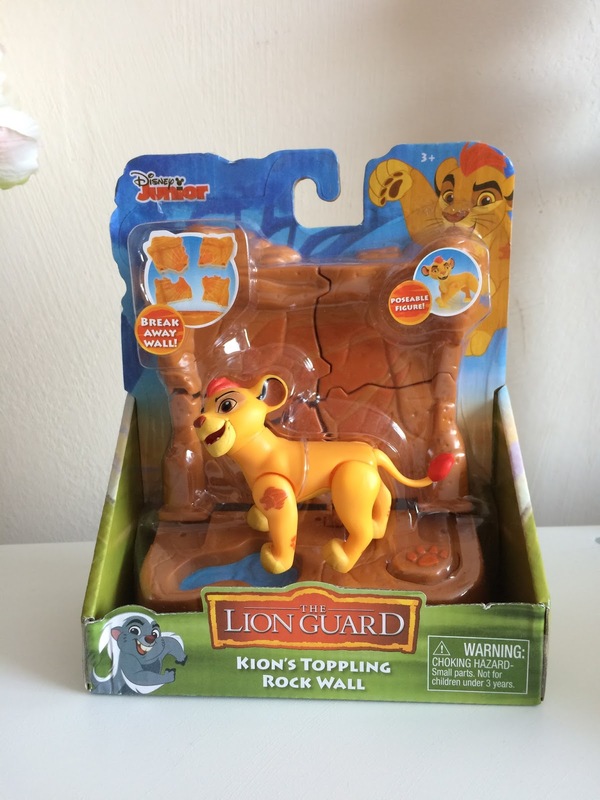 The first set we opened was Kion and his Topping Wall. The back wall is a puzzle you build up in the background, and the button on the floor you press and it bursts apart and topples to the ground. The Kion figure has poseble arms and legs and a tail that moves. The eldest boy has taken to carry this around. Its tough and sturdy and has frequent dips into the bath. The RRP is £9.99 and is a fun little toy to play together with them. We also received a couple of the mini blind bags - which we know are big hits with the kids and their YouTube obsessions. Each bag contains a small figure from the show to collect them all. The RRP on these is £2.49, which a perfect pocket money / treat gift. There is a rare figure to find hidden in the bags too. The toys as you would expect are great quality and true to the show in design. 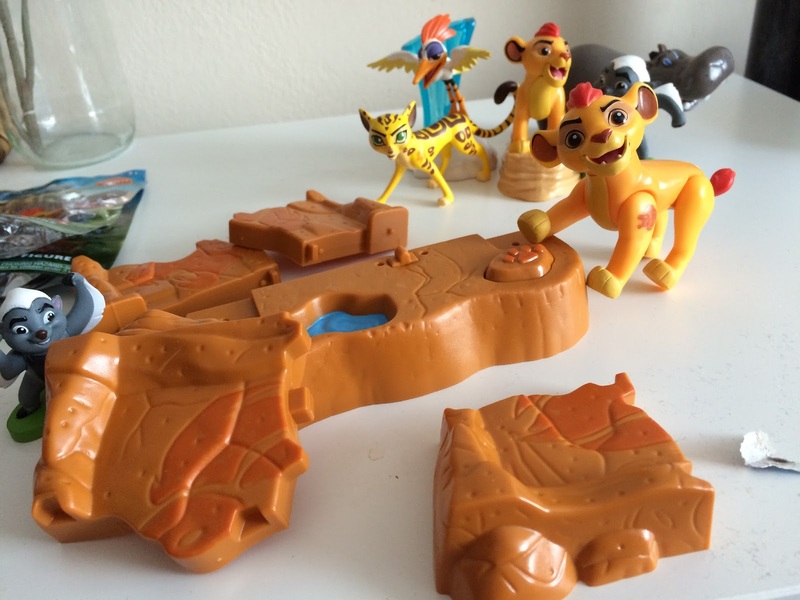 Check out www.flairplc.co.uk for more information on the product and see the whole product range - including the defend the pride lands playset, this has a RRP of £39.99 which brings the iconic Pride Lands right into your living room with this amazing play set! Including an exclusive Kion figure and six interactive features, the Pride Lands Play Set will make an exciting gift for young fans. My boys loved playing with all the toys we received and meant when watching the show we had the added show with the toys alongside it.